Suppose you have already retaught, and a few students still aren’t ready. You have reached 80% success but are worried about the last few students. Naturally, you want all your students to be successful, but it’s not efficient to reteach the whole class for just a few students. Instead, you can use Checking for Understanding and lesson Closure problems to identify individual students for differentiated in-class and out-of-class interventions. Interventions refer to providing additional support for students to learn grade-level content. Remediation refers to providing additional support for below-grade-level skills. Of course, lessons can be used for intervention or remediation. In day-to-day grade-level instruction, you give additional help to students who are not successful during the lesson. You provide In-Class Interventions by pulling out the unsuccessful students at the end of the lesson for additional teaching using small group instruction. You can do this while the other students are working by themselves during Independent Practice. Some students may still need additional help. If this happens, write a “prescription,” describing the assistance the students need to be successful on the lesson you just taught. Now send them to an Out-Of-Class Intervention such as after-school tutoring where they can be provided with additional teaching time. One benefit of this intervention approach is that students are not prejudged. You group the specific, identified students after the teaching, not before. All students are taught the same grade-level content during class time. Response to Intervention is a tiered instructional model used in many schools to support students. It’s usually referred to as RTI. Tier I. All students receive high quality, research-based classroom instruction. Tier II. Targeted Interventions for identified students using small group instruction. Tier III. Intensive Interventions for individual students targeting specific skill deficits. DataWORKS’ Explicit Direct Instruction (EDI) fits very well in this model. Day-to-day instruction is the Tier I high quality, research-based classroom instruction. EDI’s goal of 80% student success during initial whole class instruction fits the RTI Tier I 80% goal most schools use. The RTI model uses assessments to identify students for interventions. EDI identifies students for targeted interventions at the lesson level, specifically through Checking for Understanding and lesson Closure problems. EDI recommends pulling out identified students for small group instruction (In-Class Intervention) at the end of a lesson. This is RTI Tier II which includes 15% of students. EDI suggests the use of Out-of-Class Intervention for the final 5% of students who need additional help. This is the RTI Tier III intervention. Explicit Direct Instruction has extensive differentiation and scaffolding built in to support students. It comes from lesson design itself, the delivery strategies you use while teaching, and the actions you take after the lesson is over. Explicit Direct Instruction helps all students. Download this document to learn more about our EDI Professional Development. 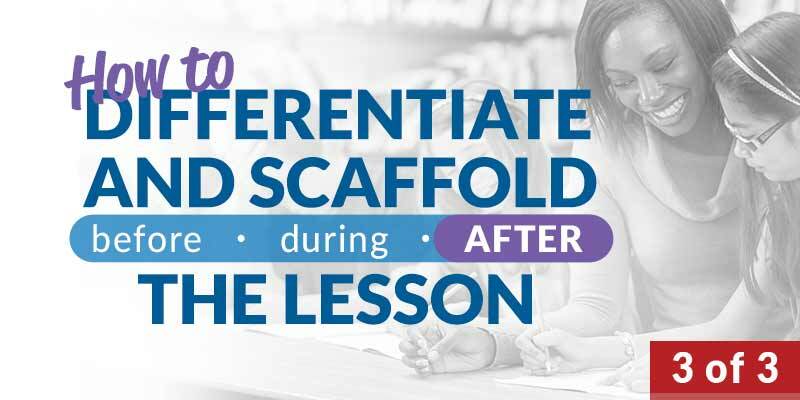 All of our EDI lessons have built-in differentiation and scaffolding. Create your account now and access over 1,200 resources in seconds. John is the president and co-founder of DataWORKS. With his varied background as a systems analyst, engineer, and musician, John has applied his analytical and presenting skills to the field of education, transforming lives with his insights into the teaching process. He and his wife Silvia Ybarra have pioneered research-based teaching strategies, known as Explicit Direct Instruction, which have received praise from teachers worldwide. John has published numerous articles, trained thousands of educators, and presented at many conferences. His mastery of lesson delivery is inspiring to educators. He and Silvia are co-authors of two books on teaching. 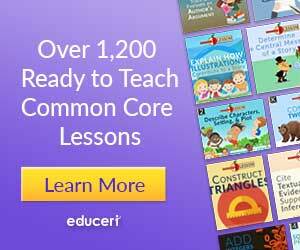 These guides convert Common Core State Standards into explicit, teachable Learning Objectives.